Take all of your data wherever you go with the compact and high capacity Sony HD-E1B Portable Hard Drive. Boasting the capacity of an external hard drive, this portable hard drive provides all the space you need in a drive that can fit in your bag with ease. With a 1 TB capacity, the HDE1B has all the storage space you need for your files. Whether you're moving documents from your office to home, taking your photos to show your friends or simply storing your favourite movies, there is ample room for storing all of your files. The 1 TB capacity means that you can store up to 280,000 photos on this hard drive, so there is more than enough room to store your photos without needing to pick and choose which ones you keep. The HDE-1B uses a USB 3.0 connection to transfer your files rapidly, so you don't need to wait for your videos, music, photos or documents to open. When you use the USB 3.0 connection, your hard drive can transfer files at up to 5 GB per second. When you work with Windows you can also make use of the data transfer accelerator, oragnising your files for the fastest speeds, providing you with the fastest possible data transfer. It is also compatible with USB 2.0 connections, so you can use this hard drive with almost any computer. It is compatible with both Windows and Mac computers. For the ultimate in entertainment, you can also use this hard drive with Sony Blu-ray players and PlayStation 3 consoles, so you can enjoy even more entertainment on your devices. There is no need to worry about losing your data from your PC when you use the HDE1-B. This hard drive includes automatic backup software for Windows which makes backing up the files on your PC quick and simple. With pre-loaded encryption software and a password protection manager, this hard drive protects your data with AED 256-bit algorithm data encryption before locking it away behind a password so you can be confident that your personal information and files can stay safe from prying eyes. 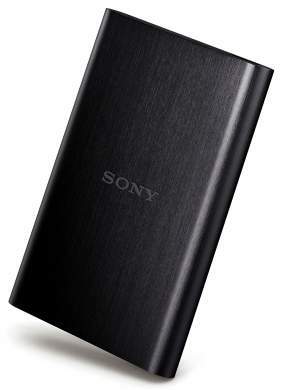 With a 3 year manufacturer's guarantee and a compact frame, the Sony HD-E1B Portable Hard Drive is perfectly designed to come everywhere with you. Link to hard drive at PC World. 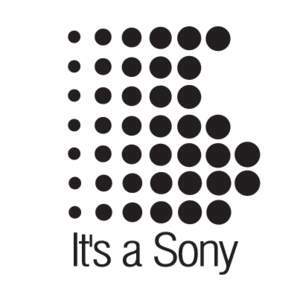 Link for more details on Sony website. I spend hours just looking at it. when I lick it. it makes me tingle. absolutely beautiful hard drive.I spend hours just looking at it.its … absolutely beautiful hard drive.I spend hours just looking at it.its gorgeous.when I lick it. it makes me tingle. Does anyone know who actually makes the HDD. As far as I know there are only 3 HDD manufacturers - Toshiba, WD and Seagate. Does this use a standard Mini USB connection or some silly new cable invented by Sony? Does this use a standard Mini USB connection or some silly new cable … Does this use a standard Mini USB connection or some silly new cable invented by Sony? Uses standard USB 3 cable. my ps3 slim 250GB is running out of space. got about 200GB of movies on it. could I use this for instant access? I brought this a few days ago, It is compatible with my nexus 7 (with an OTG cable ofcourse). In reply to the guy above me you have to reformat it to FAT32 with the included software, however this format is incompatible with files over 4GB. no wonder theyre share price is so low! I got mine last week, nice drive...just don't forget to fat32 it if you intend to use with your tv etc......incidentally mine linked perfectly with my bravia once reformatted. Does anyone know if it works with PS3 without format? "Effortless entertainement - Compatible with computers, Sony Blu-ray™ Disc players and PlayStation®3 consoles"
But I can't find any information on it, I thought to be compatible it had to be fat32? Anyone had one of these apart yet to see what hardrive is in it & wether it has the connector soldered to the drive & what height the drive is. As I want to take the drive out & put it in A PS3 so it has to be 9.5mm high. Anyone had one of these apart yet to see what hardrive is in it & wether … Anyone had one of these apart yet to see what hardrive is in it & wether it has the connector soldered to the drive & what height the drive is. As I want to take the drive out & put it in A PS3 so it has to be 9.5mm high. the case is too beautiful to take apart. Just ordered thanks.Does anyone know if it works with PS3 without … Just ordered thanks.Does anyone know if it works with PS3 without format?Sony's website says this "Effortless entertainement - Compatible with computers, Sony Blu-ray™ Disc players and PlayStation®3 consoles"But I can't find any information on it, I thought to be compatible it had to be fat32? For anyone wanting to know about using the code and collecting instore. There seems to be an option for pay and collect with some stores which may allow you to use the code. Never used this myself but just seen it and thought it may be helpfull to someone. You can't collect the same day though, i don't think. But can can get it from next day. I wonder about the transfer speed of a 5400 RPM hard drive, how far will it approach the 'up to 5GB per second' of USB 3? Anyone tested the drive with Raspberry PI? Is it not possible to apply the 5% off to collect in store ? Thanks, ordered as code doesn't work for click and collect, how daft is that....thanks. Works with the Sony RPi boards . Thanks, ordered as code doesn't work for click and collect, how daft is … Thanks, ordered as code doesn't work for click and collect, how daft is that....thanks. This also incorporates Bravia Engine technology into the spinning drive mechanism which really helps bring your videos and pictures to life. This is dfinitely the sexiest portable hard drive on the market and one that will wow all your friends when you get it out in the open. This also incorporates Bravia Engine technology into the spinning drive … This also incorporates Bravia Engine technology into the spinning drive mechanism which really helps bring your videos and pictures to life. This is dfinitely the sexiest portable hard drive on the market and one that will wow all your friends when you get it out in the open. yes I can verify the images look 'sharper' when using this drive. an unexpected benefit was that the sound appeared to be more 3D if you know what I mean. I don't let anyone else touch mine! I throw a fit, if I see thumbprints on it! Takes me hours to polish it out. But I like spending time with my drive. It makes me feel gooey inside. Just got mine. Does anyone know of a good compatable protective case to keep this in? Just tried to order one of these but the website falls over at the payment stage - tried both PCW and Currys. V frustrating, but will try again later.